Welcome to Pewter Internet Solutions. Highly experienced providers of cost effective e-commerce and content management system websites, Pewter Internet Solutions can help you go global. We specialise in e-commerce websites, content management systems, including Joomla and search engine optimisation. 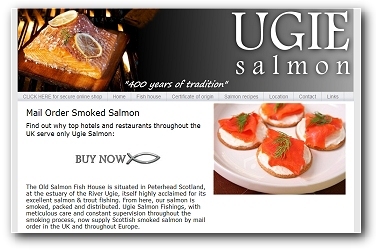 Ugie Salmon - a small business based in the North east of Scotland, now trading throughout Europe, selling their unique smoked Scottish salmon from their secure online payment, e-commerce website. 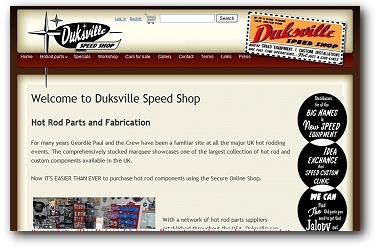 Manchester based Duksville Speedshop supplies hot rod and custom car components throughout the UK and Europe. Their website offers a comprehensive range of parts for the convenience of their customers.